On June 10, 2017 the Basking Ridge Presbyterian Church (BRPC) celebrated its 300th anniversary with a town wide parade from Ridge High School down Finley Avenue to the iconic church off the Basking Ridge village green. Given this great accomplishment we thought it’d be important to look into the history of worship in the town and provide some insight. Putting everything in perspective a 300 year existence is incredible. 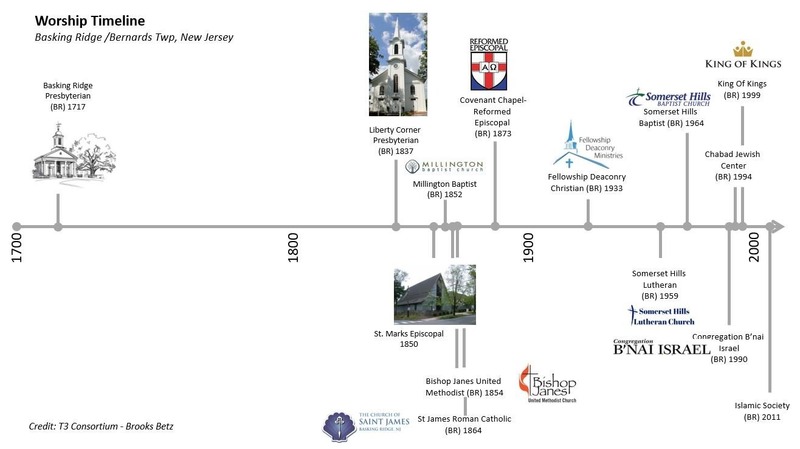 Just think what’s happened in the world as the Basking Ridge Presbyterian Church started its journey as the first religious institution in Basking Ridge. What’s amazing to note about the BRPC is that it was the sole religious institution for over 100 years before the Liberty Corner Church was founded. It’s a clear indicator that there was very little change in the area until the mid 1850’s. The railroad that came to Basking Ridge in 1872 also played a part as tourists from Hoboken and New York City came to Basking Ridge to visit. If you look at the founding dates you can also tell a lot about the influx of different people to the region as well. A longtime historian once told us “In any old town, just go to the dead center of their main street and look down it.” You will know about the different groups of people joining the community by the places of worship as you go down the street. This is clearly evident in Basking Ridge. 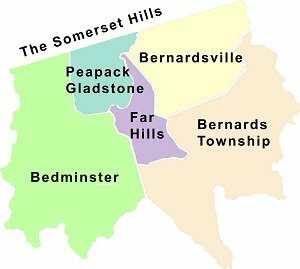 Another great example of this is Peapack/Gladstone. 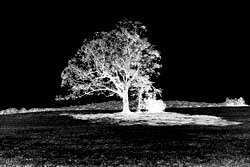 BEGINNINGS “Though thy beginning was small, yet thy latter end should greatly increase …” Job 8:7 The old oak in our churchyard was already some 200-300 years old when white men first settled in what is now Basking Ridge, New Jersey. 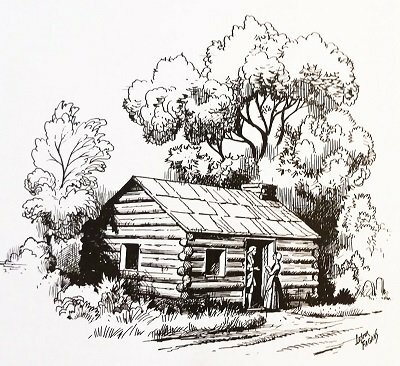 According to old documents owned by the New Jersey Historical Society, “Basking Ridge was early settled by Scotch Presbyterians and a log church erected about the year 1700.” Actually this meeting house, as nearly as we can determine, was erected about 1717. 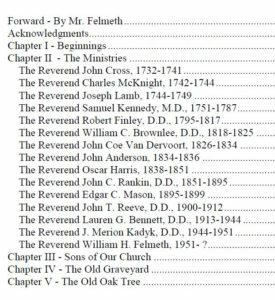 With the BRPC turning 300, after looking into the history archives at the local historical society, we found a great overview of the history of the Basking Ridge Presbyterian Church. For those new to the area, Dr. Robert Finley was the an original founder and sixth pastor at the 1st Presbyterian Church. 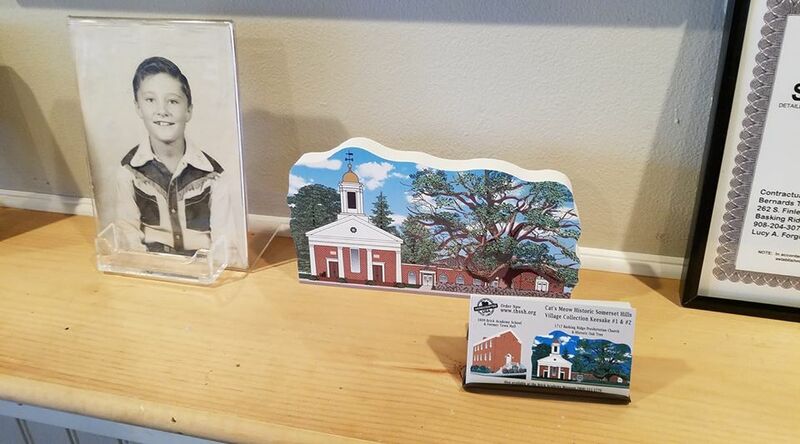 Take a trip back in time to one of the founders of Basking Ridge and the Basking Ridge Presbyterian Church, Reverend Robert Finley, 6th pastor of the Basking Ridge Presbyterian Church. Discussions include Slave trade, our National Policy and more. Written in 1857 by Rev. Isaac V. Brown. Dr. Finley was also the founder of the Brick Academy, home to the Historical Society of the Somerset Hills. Click Here. 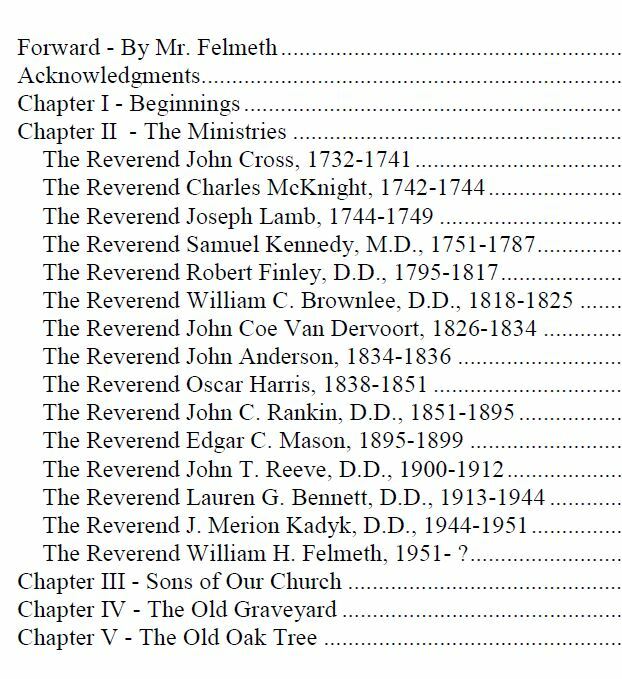 Watch as Reverend Dennis Jones reincarnates Dr. Robert Finley, 6th Pastor of the Basking Ridge Presbyterian Church.